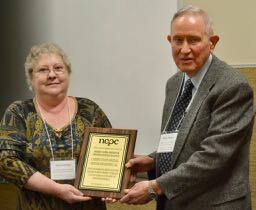 Anne Jennings and Dewey Burgess from the Camden County Heritage Museum and Historic Jail accepted the 2018 Robert James Award for Preservation Excellence at the 2018 NCPC Annual Conference on November 16, 2018. This annual award recognizes institutions in North Carolina that have demonstrated an exceptional commitment to the preservation of tangible and intangible heritage of enduring value. The NCPC Board of Directors selected the Museum for its commitment to preserving the history of Camden County and its historic jail. Read the full press release here. Visit these links to view videos that highlight the museum.